Bruce Lay - Maverick Realty Inc. 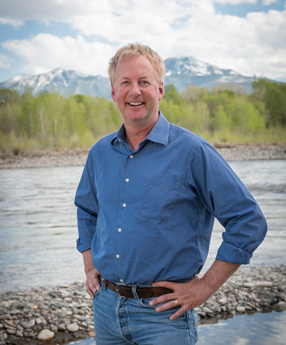 Originally from Helena, MT, Bruce came to Livingston in 1988 and immediately fell in love with the community. At the time he was a Special Education teacher at Park High School and found his passion actively working with children. He eventually found his way into real estate sales in 1991. Bruce’s interest in the well-being of children has never faltered, he has actively been involved with the children of the community for many years. Bruce has been heavily involved in area sports; coaching football, baseball, and basketball, and can sometimes be heard providing commentary over the loudspeakers . He is a board member of the Rotary Club, serving as Director of Children In Need, which in 2005 alone purchased clothing for over 165 children. He also donates to the Community Closet with the help of “Bruce Lay Day”, giving Livingston’s kids an annual opportunity to obtain needed clothing for free. In recognition of this, he received the 2006 Chamber of Commerce Community Service award. Bruce is a member of the Paradise Valley Community Church and serves as the church’s secretary, Sunday school teacher, and game leader for Awana. He serves as the Jumping Rainbow Ranch Homeowners Association director as well as being a wonderful husband to Pam and an incredible father to Sterling. Bruce is infatuated with the outdoors and you will often times find him there.